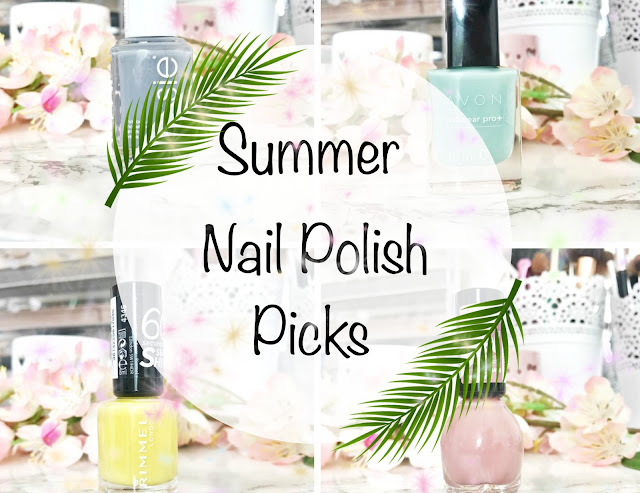 In todays post I am going to share with you the nail polish that I will be reaching for this summer. I find I have certain shades I like to reach for depending on the season. I am a huge lover of nail polish, I find the routine of painting my nails really therapeutic and it gives me the little me time I need. I absolutely love this shade, It is such a beautiful pastel Aqua blue colour. 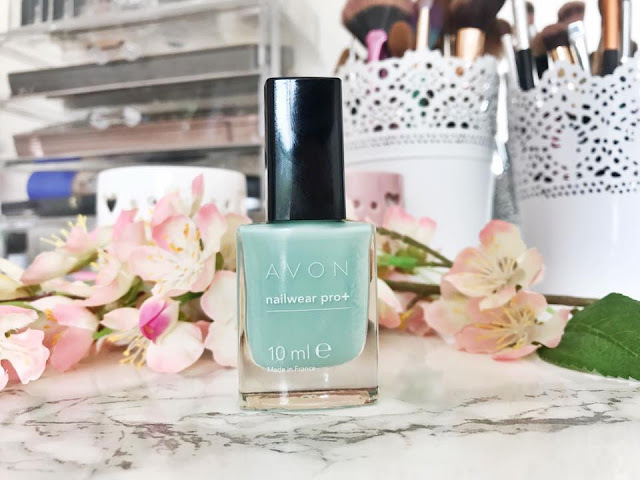 Avon do some of my all time favourite nail polishes, the quality of their nil polishes is incredible as well as them being very inexpensive. I find Avon nail polishes last really well on my nails. This particular shade I have been loving on my toes. As I am sure you are all very much aware of my love (obsession) with Barry M nail polishes. 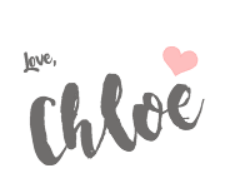 They are THE BEST drugstore nail polish brand out there. They shade range they have is beautiful, they all apply amazingly well and they also last really well on the nails. This shade is a dusky muted fuchsia and is so beautiful. Whenever I wear this shade I receive so many compliments as the colour is so pretty an d unique. This is a shade which I have spoke about a few times on here and rightfully so! The amazing Young Wild and Polished on youtube raves about this shade which essentially coaxed me into buying it. I'm so glad I did. In the bottle Go Ginza looks like a pastel lilac, which it is but when applied onto the nails it so much more, it has a white undertone to it which is so unique. 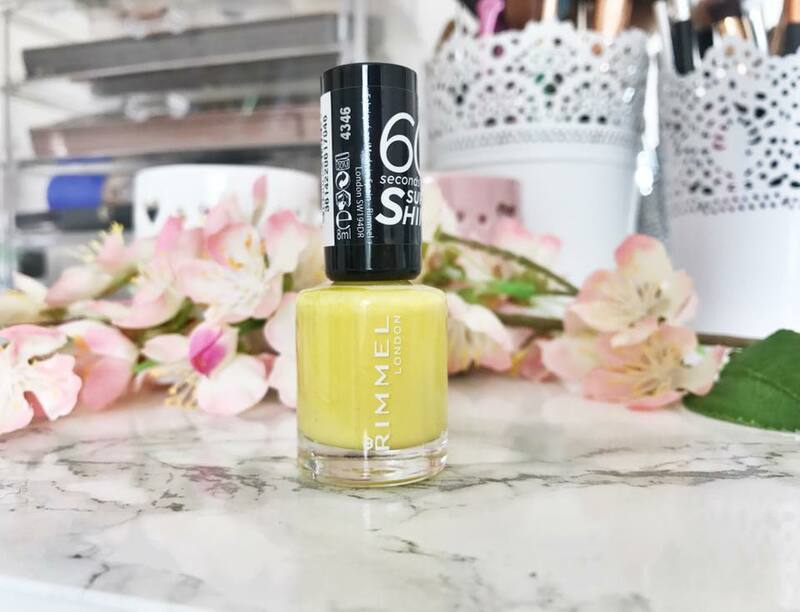 This shade is a very very bright yellow, I never use this on my entire nails as its a little to bright for me. What I love using this for is nail art like flowers. It is extremely opaque and works amazingly well for the centre part of a flower. For me a yellow like this is essential. This is another shade I have spoke about on my blog few times. 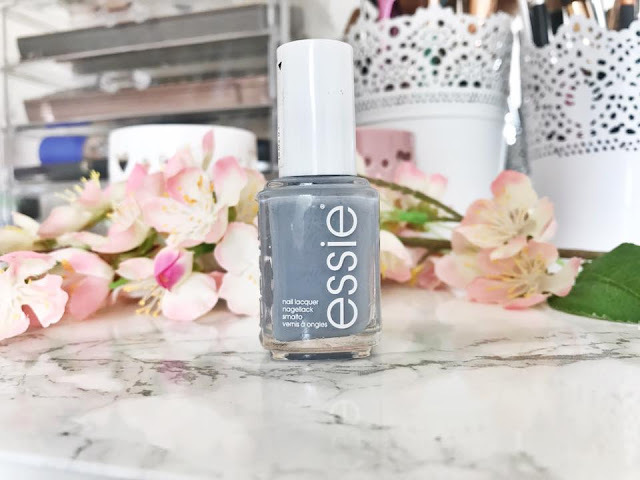 This is such a stunning pastel grey colour which I tend to lean towards for a night out or when I have hardly no time to paint my nails. For some very strange reason I find this nail polish so easy to apply quickly making it the perfect shade for when you're running against the clock. 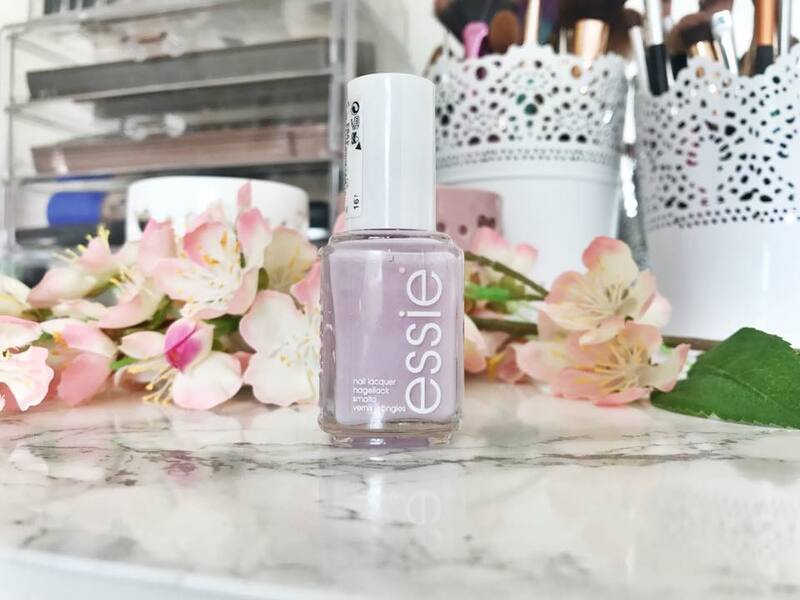 Like all of the other Essie polishes I have tried it applies smoothly and lasts so well. 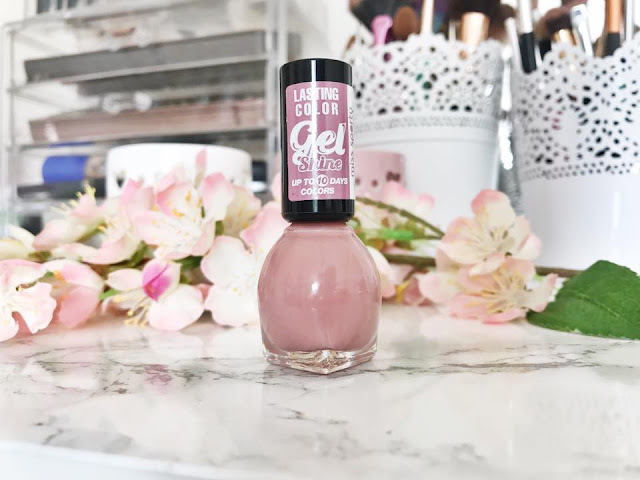 I have been wearing this shade non stop recently as it is so damn pretty, it is a beautiful dusty pink shade which is literally my favourite colour at the moment. The best this about this nail polish is how long it lasts. I am a supervisor in a shop so its very hands on meaning nail polish never really lasts as long as when I'm not at work. Until this one! paired with my HK Girl top coat and wrapping the tips it easily lasts 5 to 7 days! 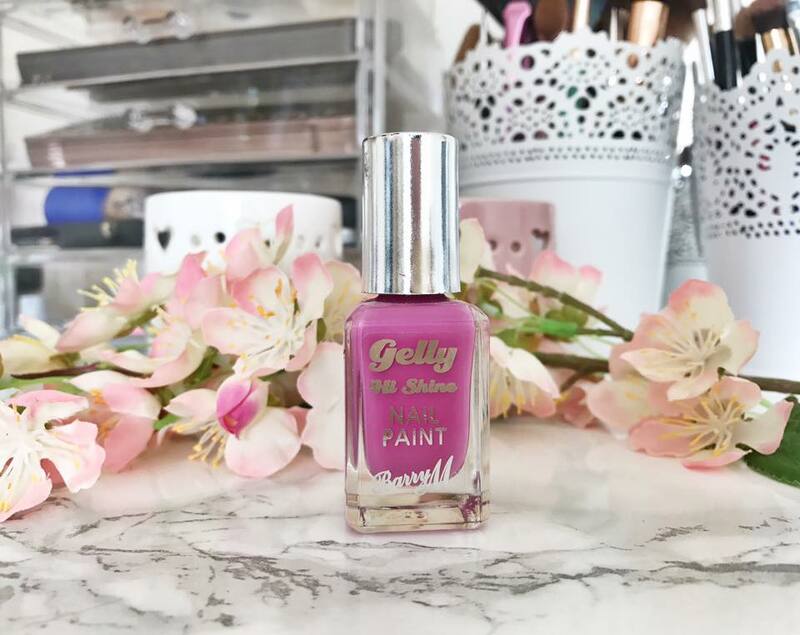 What is your favourite nail polish at the moment? I love blue nails during the summer! My favourite is Rimmel 60 seconds Pillow Talk one which is so similar to the Avon Minty one, I haven't tried Avons nail polishes before but I might have too! Oh wow, Go Ginza is a gorgeous shade! My favourite kinds of polishes for summer are always the muted shades like that, I'm not massive on bright shades.